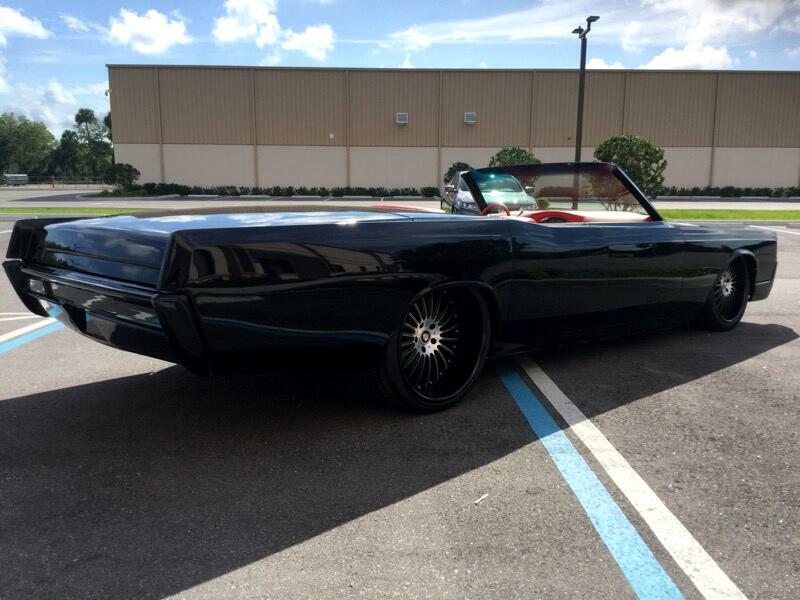 *** THIS 1967 LINCOLN CONTINENTAL CONVERTIBLE RESTOMOD WITH UNDER 200 MILES, INVESTED OVER 200K IN THIS BUILD THE MID 60'S CONTINENTALS WITH THE SUICIDE DOORS LIKE THIS ONE, ARE ONE OF THE MOST ICONIC CARS OF ALL TIME AND ARE BECOMING HARD TO COME ACROSS. 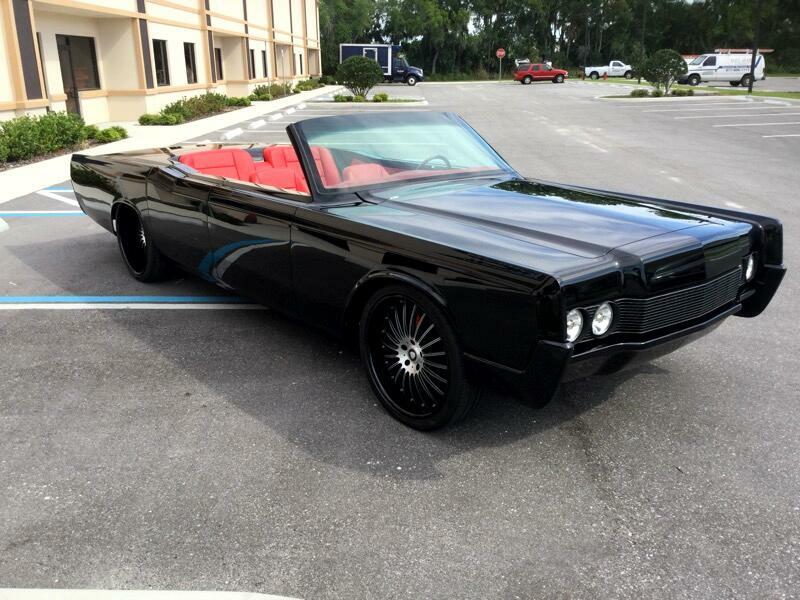 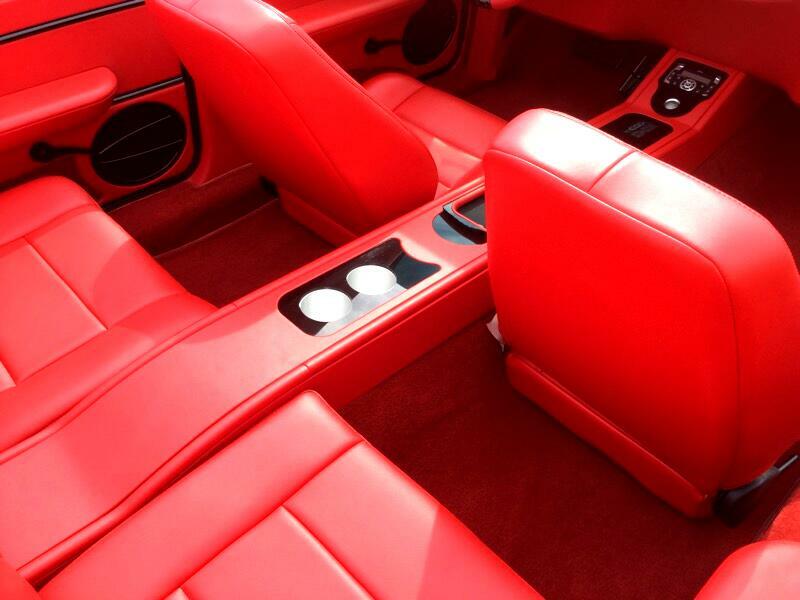 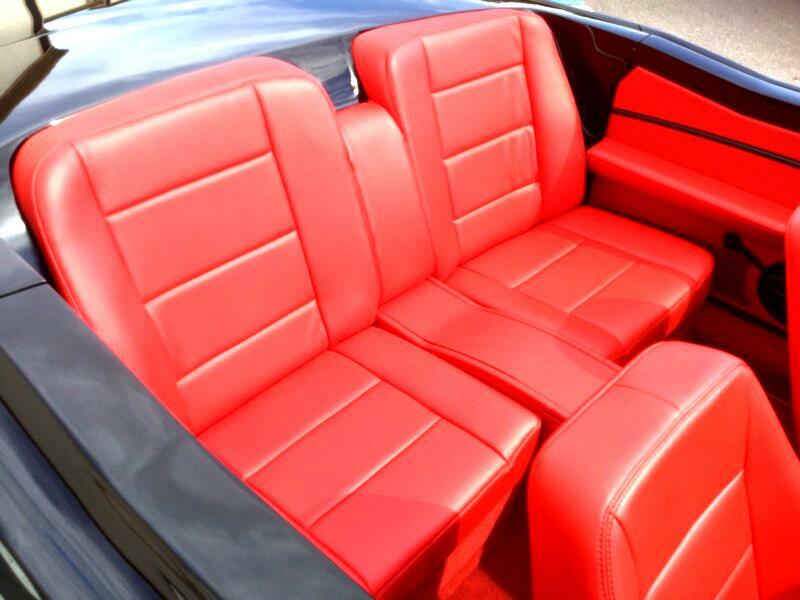 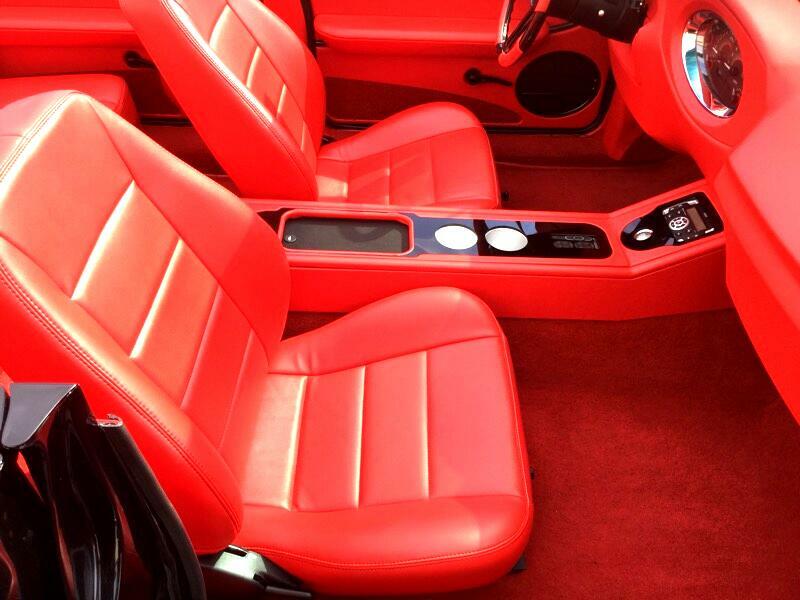 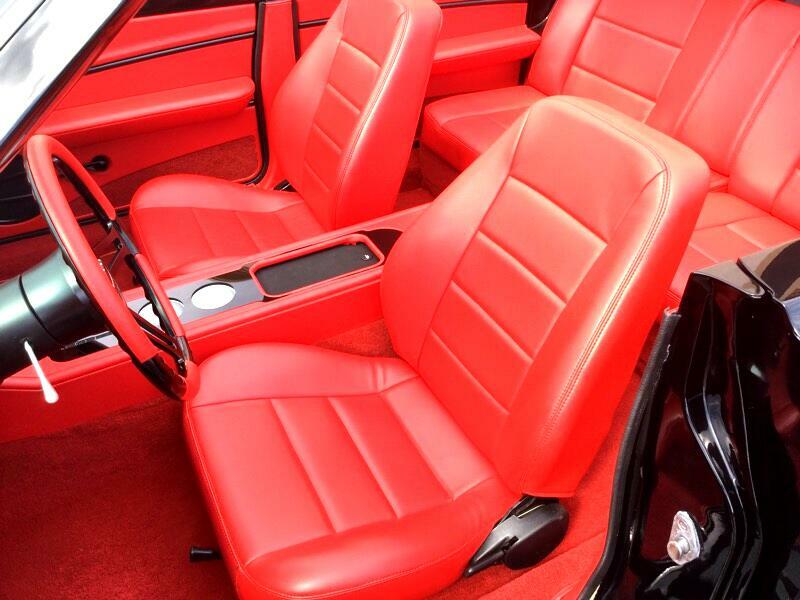 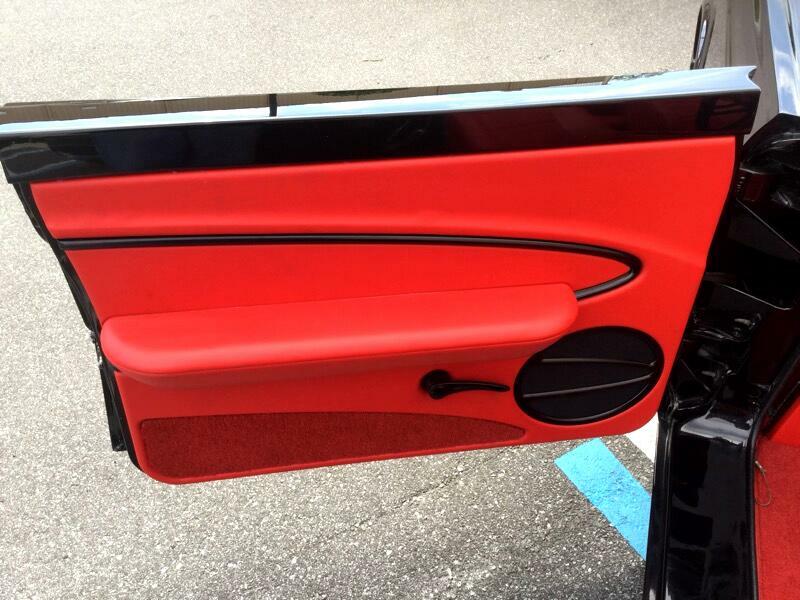 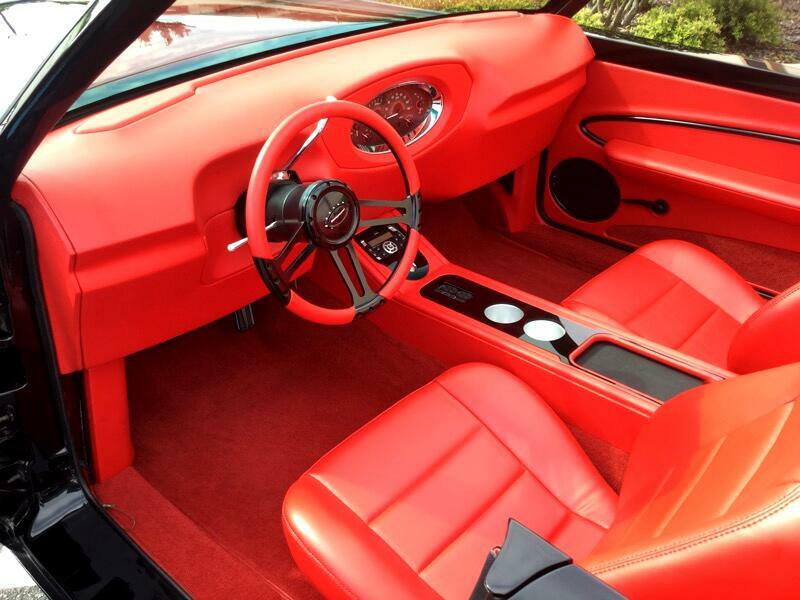 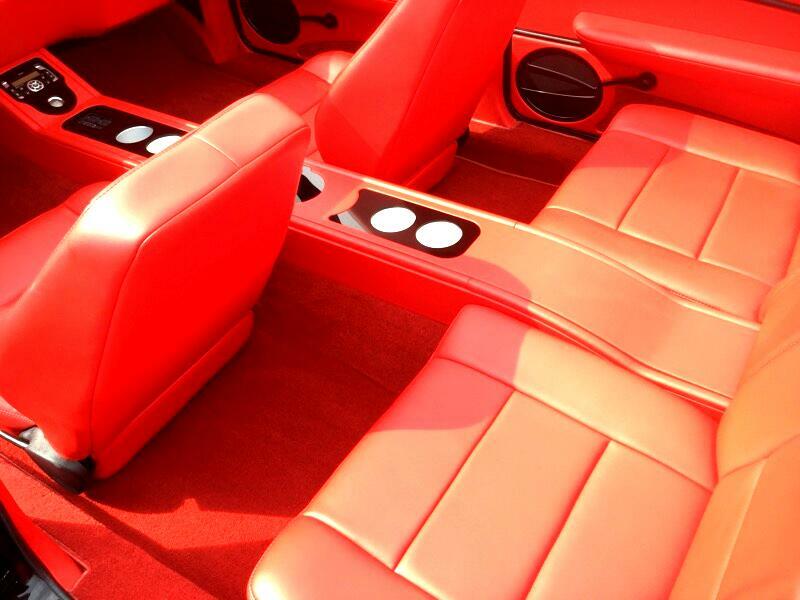 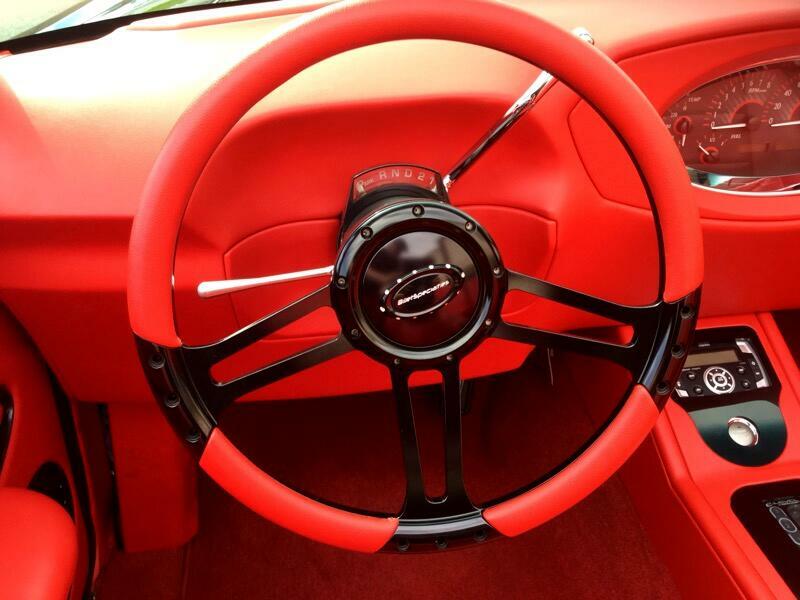 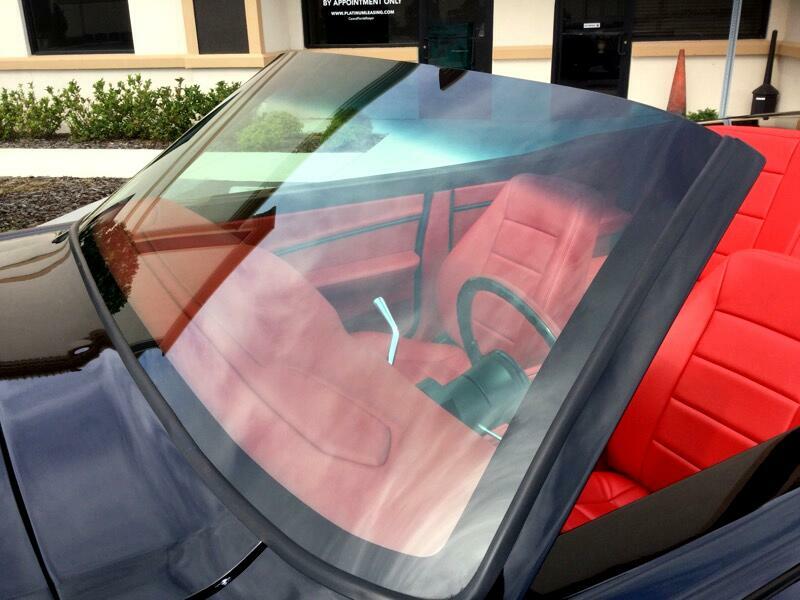 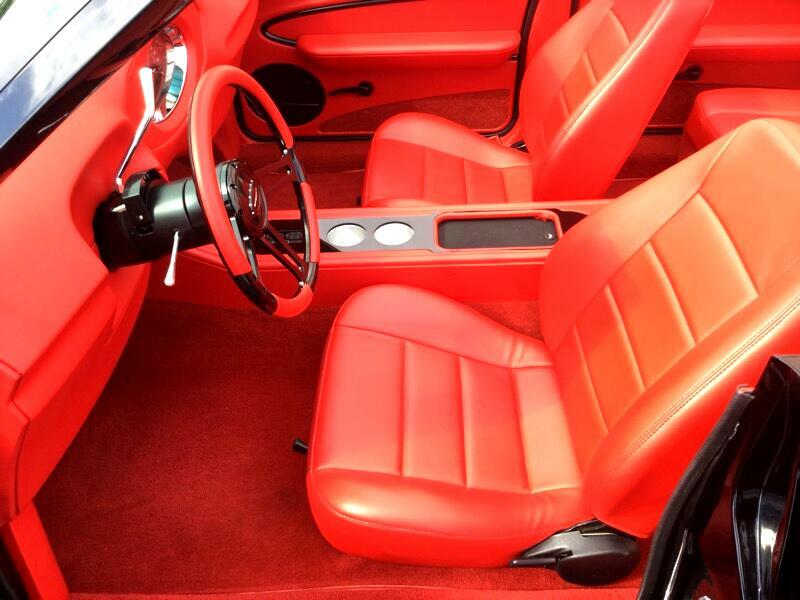 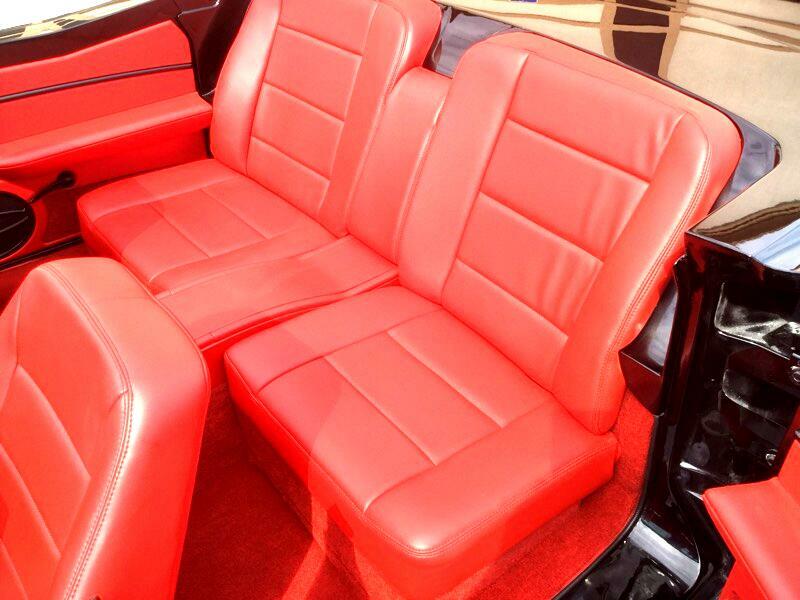 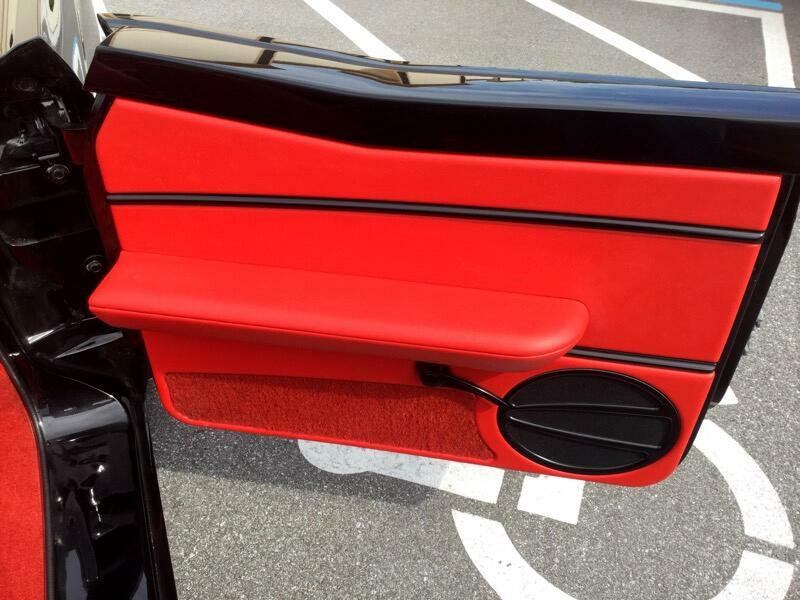 BEAUTIFUL CHROMEO BLACK EXTERIOR OVER A FULL RED LEATHER INTERIOR. 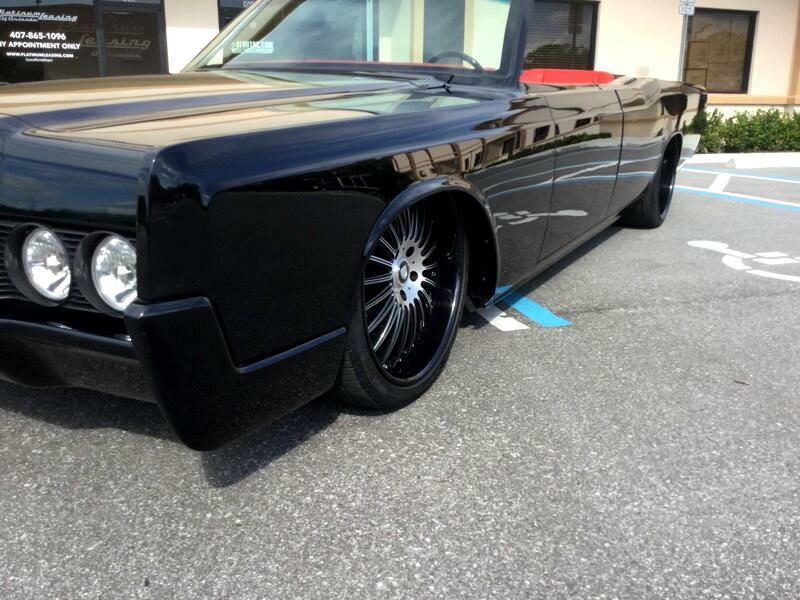 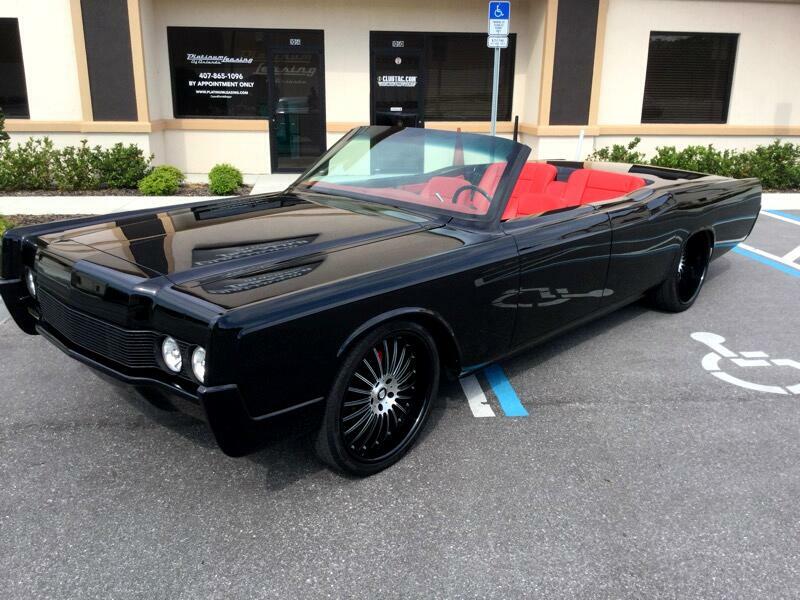 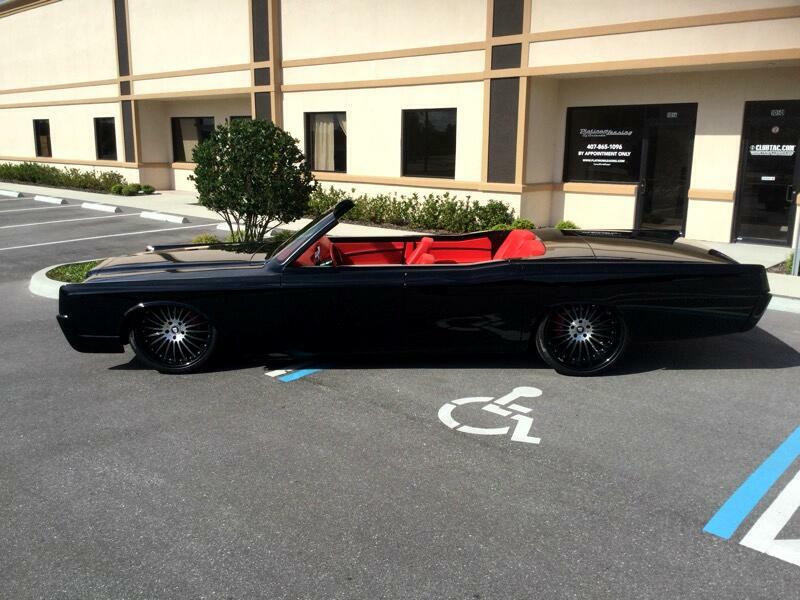 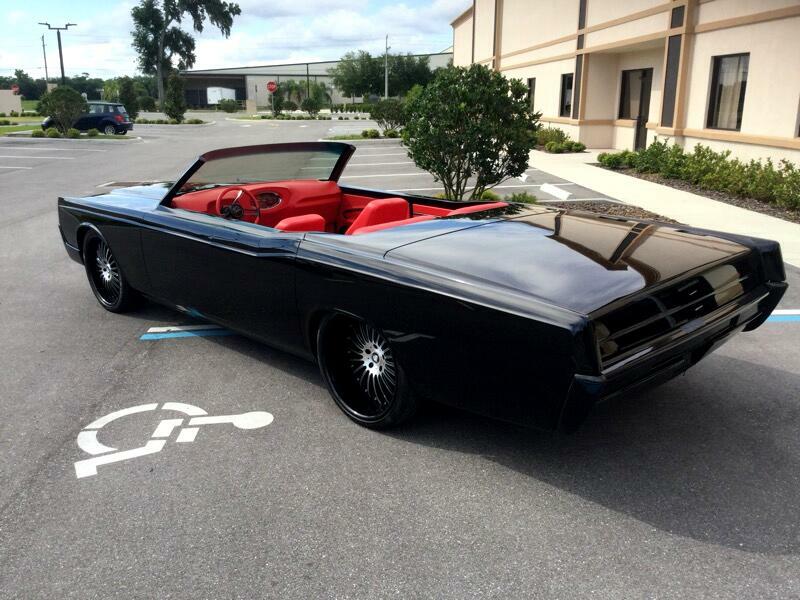 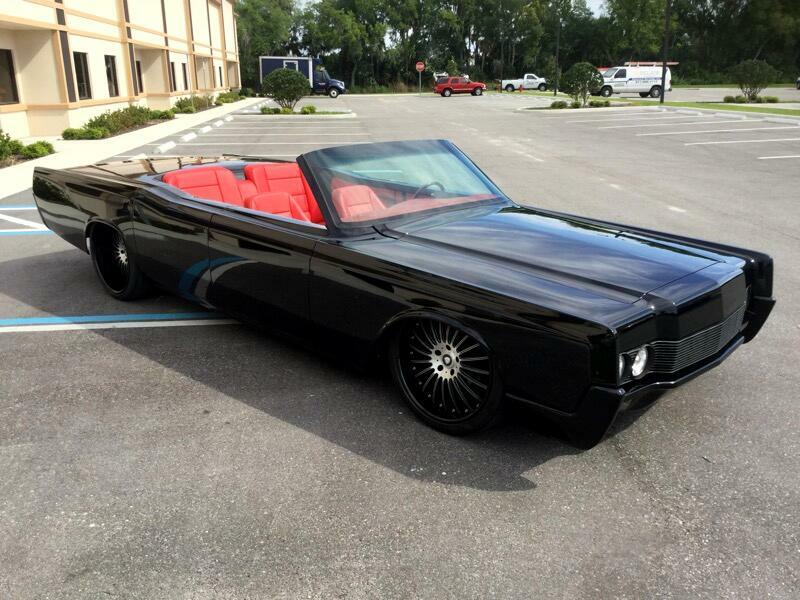 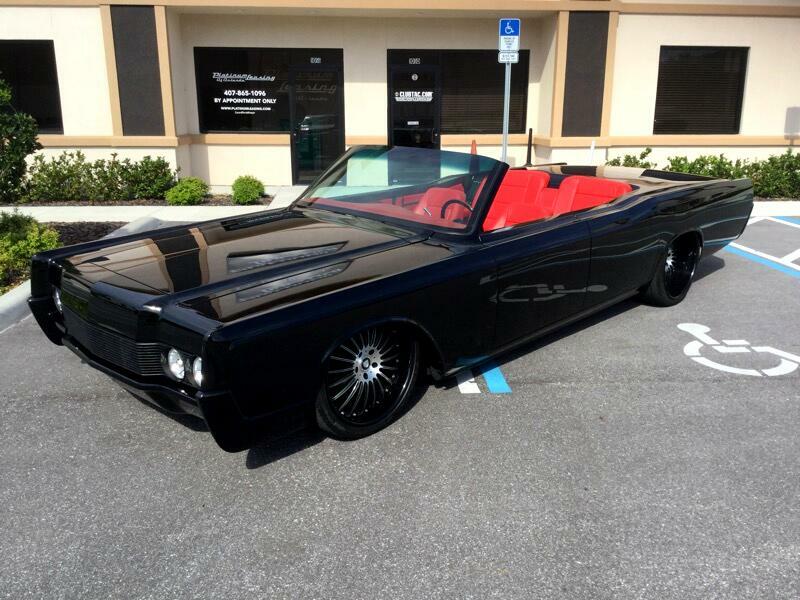 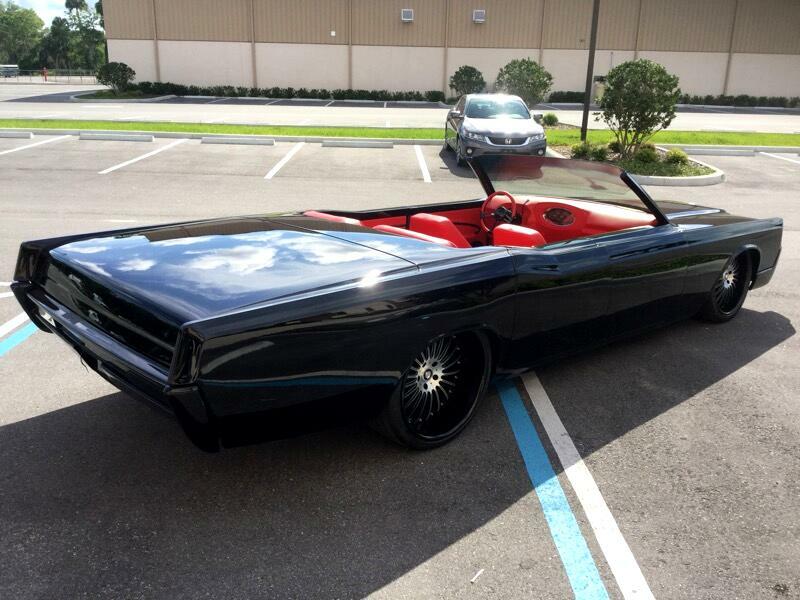 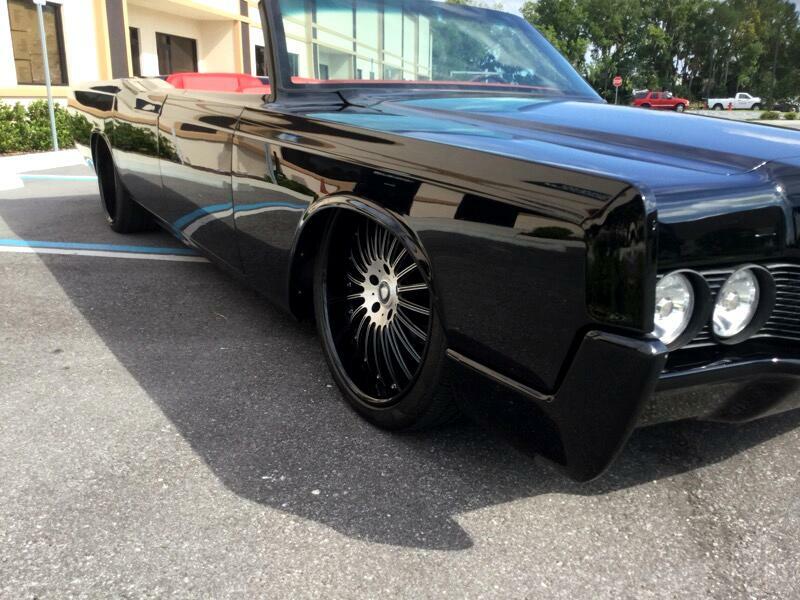 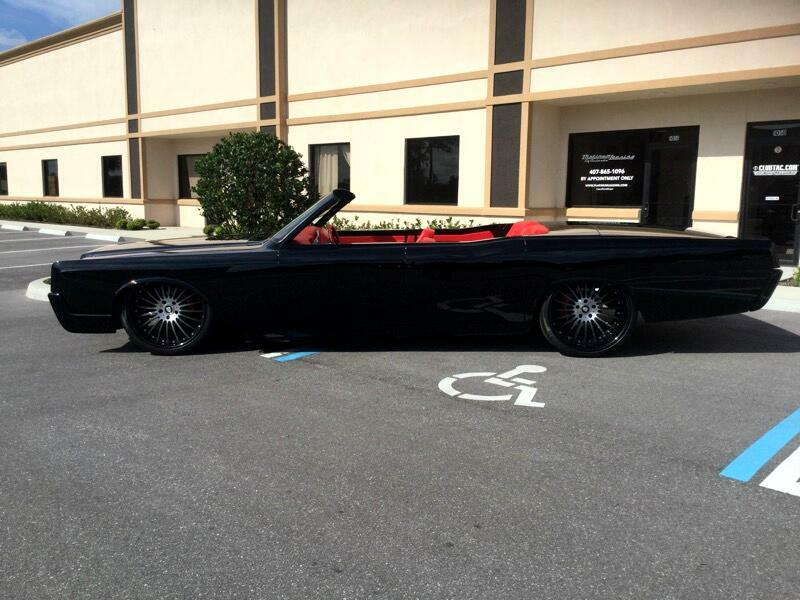 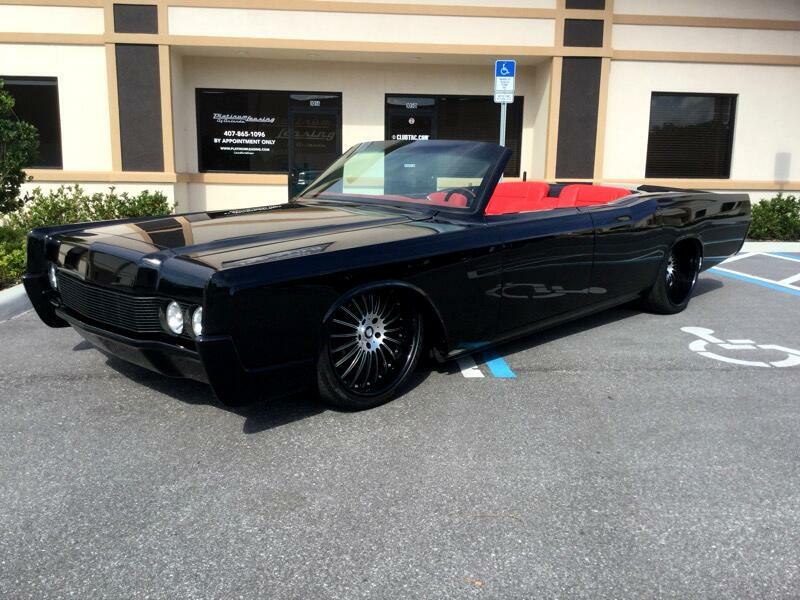 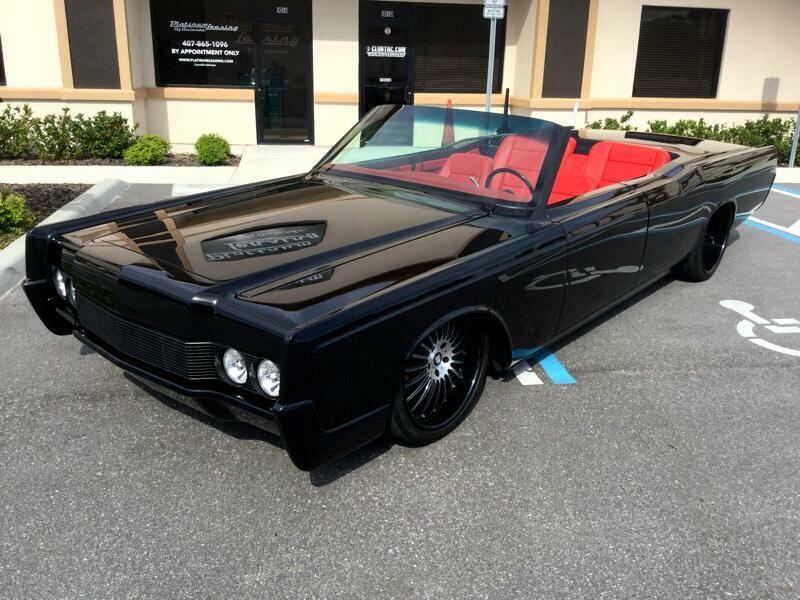 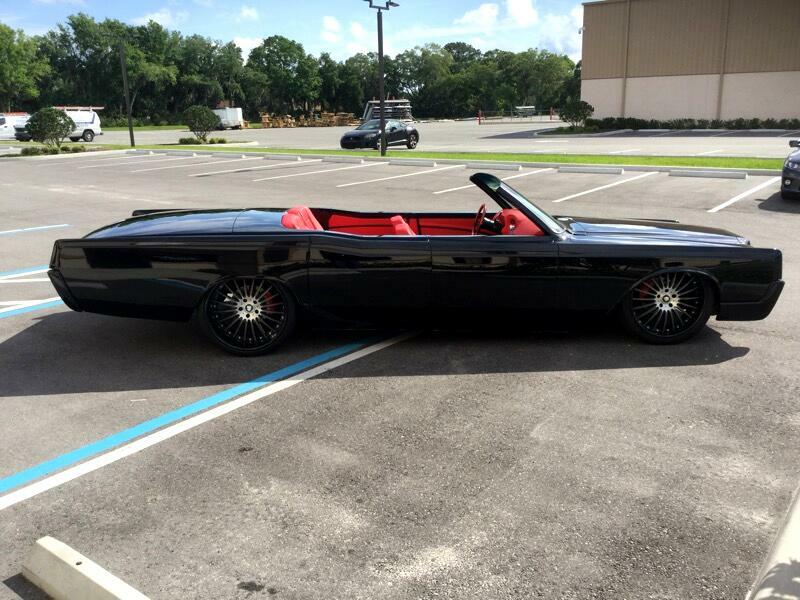 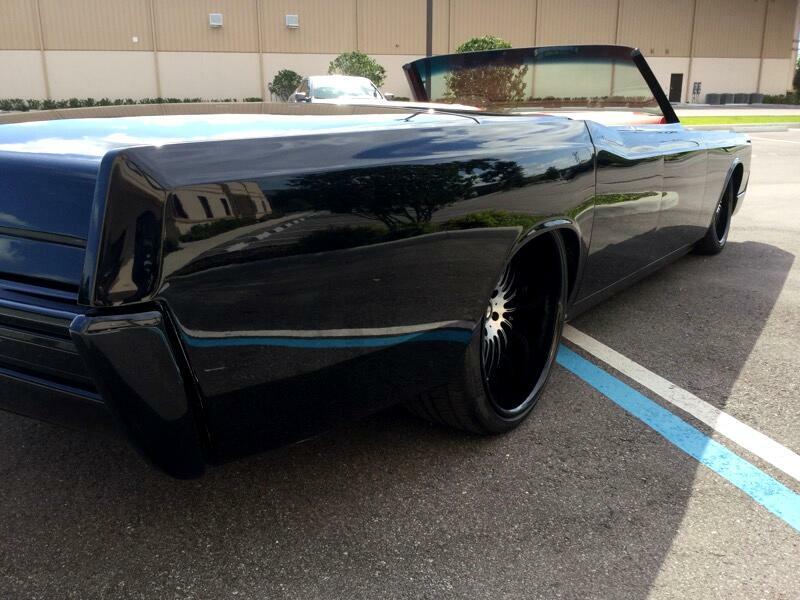 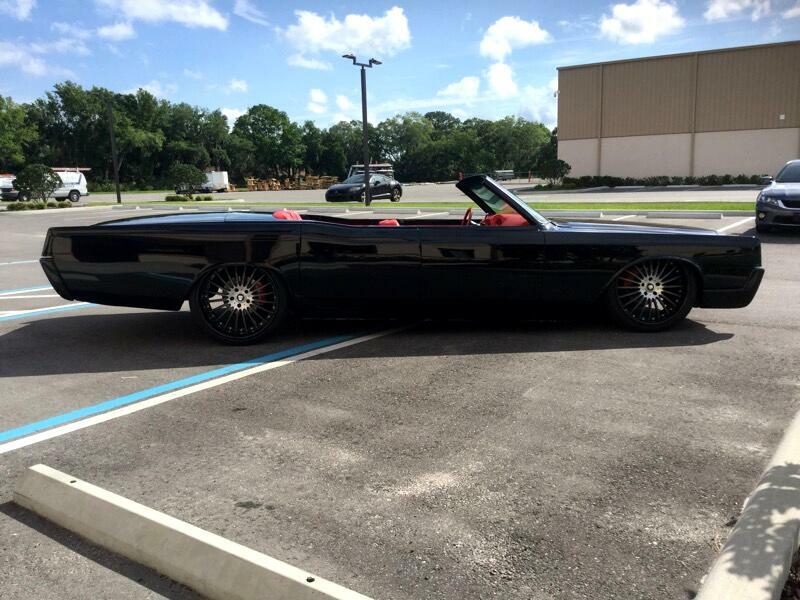 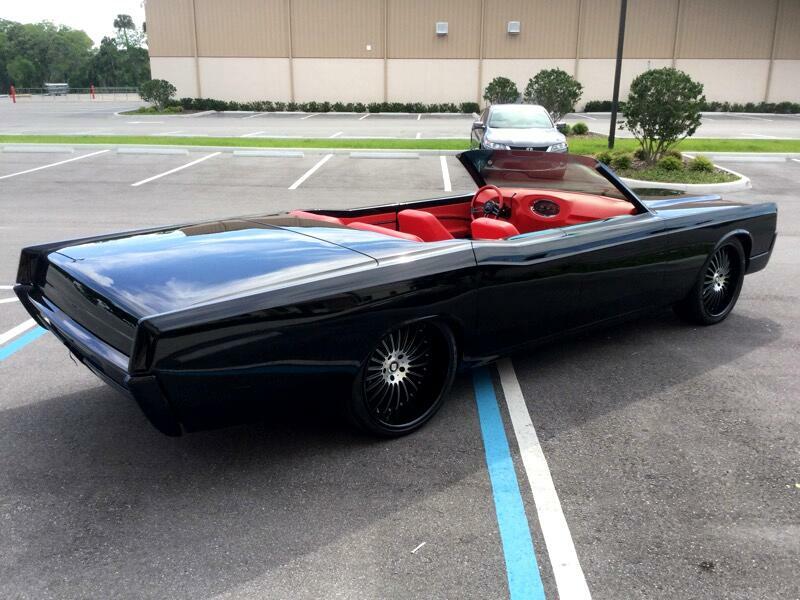 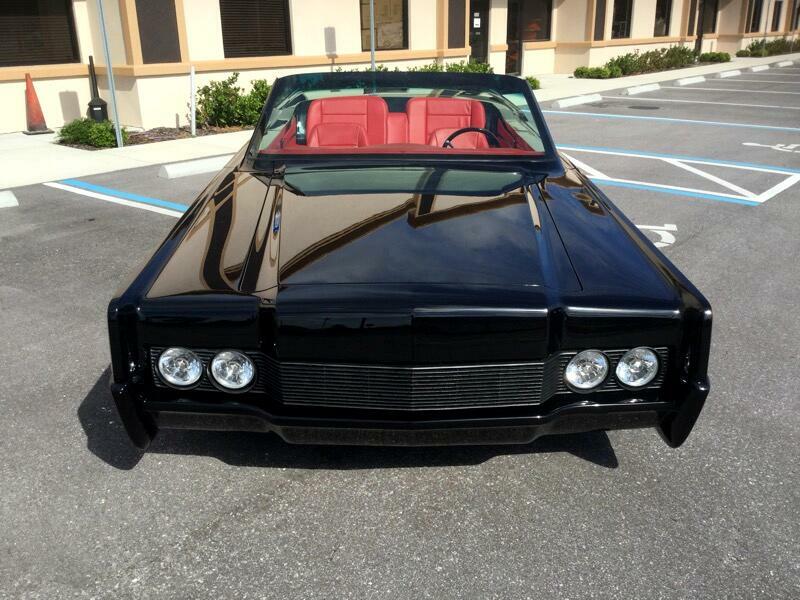 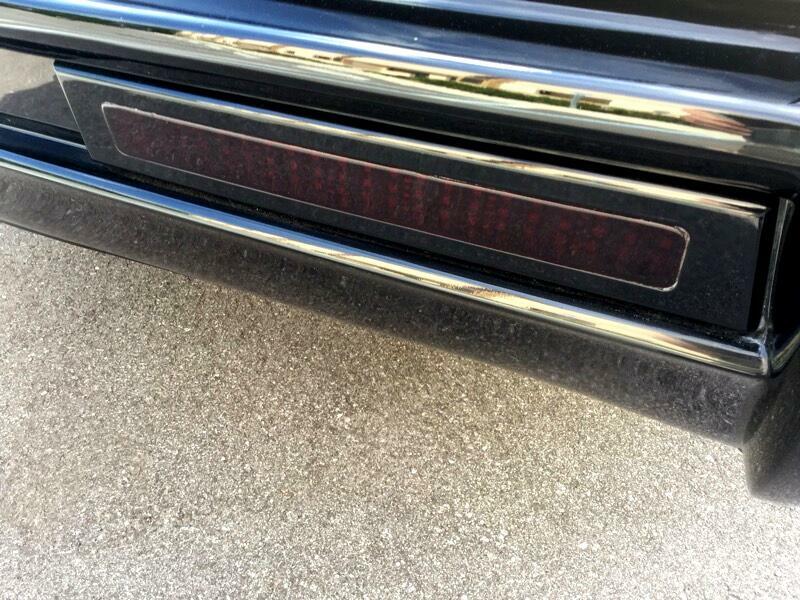 THIS IS A SOUTH FLORIDA BUILD THESE GUYS KNEW WHAT THEY WERE DOING BUILDING THIS 67' LINCOLN CONTINENTAL. 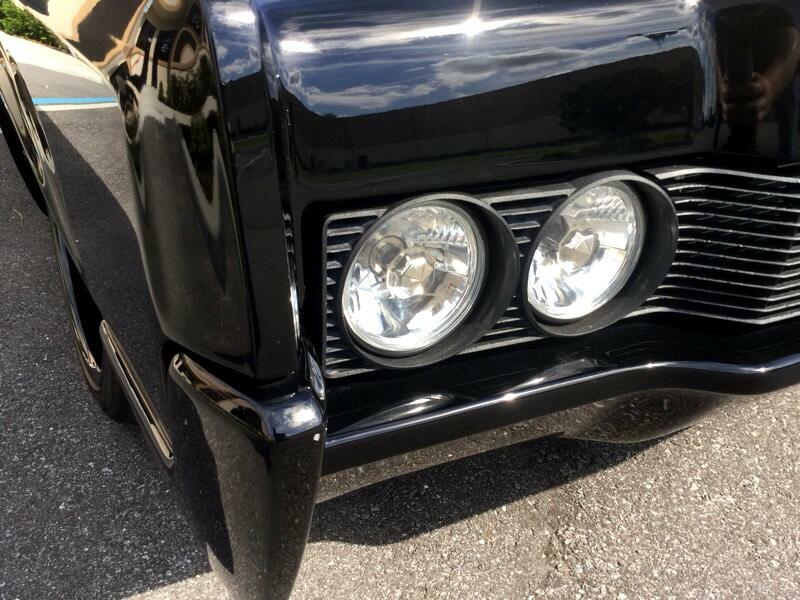 ORIGINAL FRAME WAS STRIPED AND REINFORCED FOR THE PERFORMANCE OF THIS BEAUTIFUL BUILD FOR SAFETY AND HANDING. 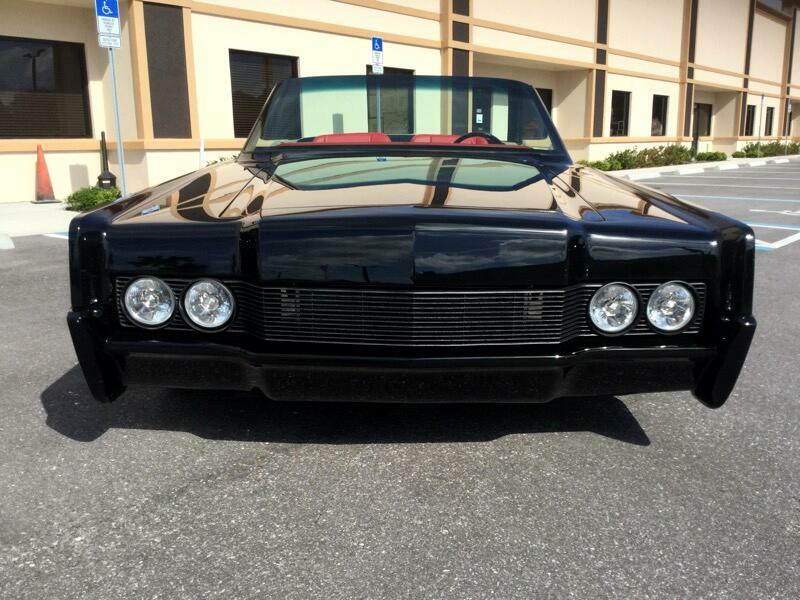 BOOSTING A POWERFUL 501 CID BIG BLOCK FORD V8 STROKER MOTOR (BUILT BY HENDRIX) MATED TO SMOOTH TCI AUTOMATIC TRANSMISSION, THIS CONTINENTAL IS A BLAST TO DRIVE! 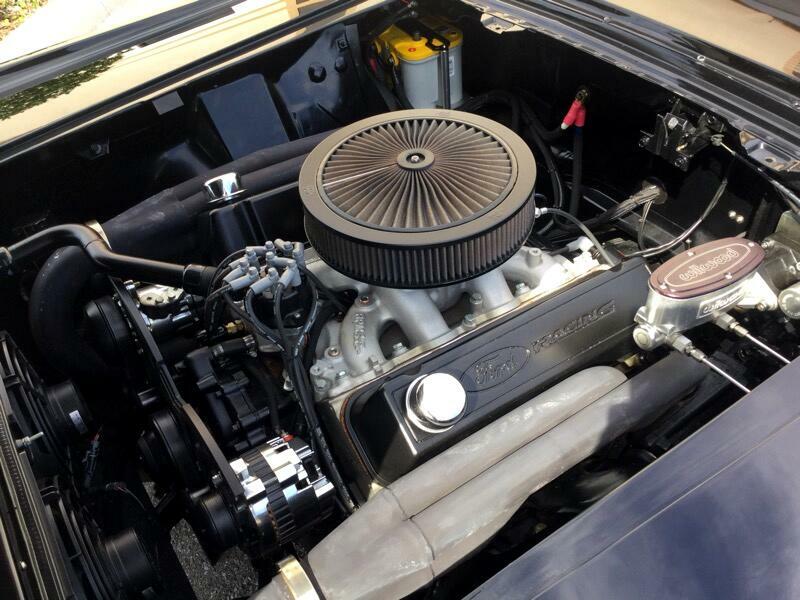 THE MOTOR IS FUEL INJECTED AND PUTS OUT OVER 600 HORSE POWER. 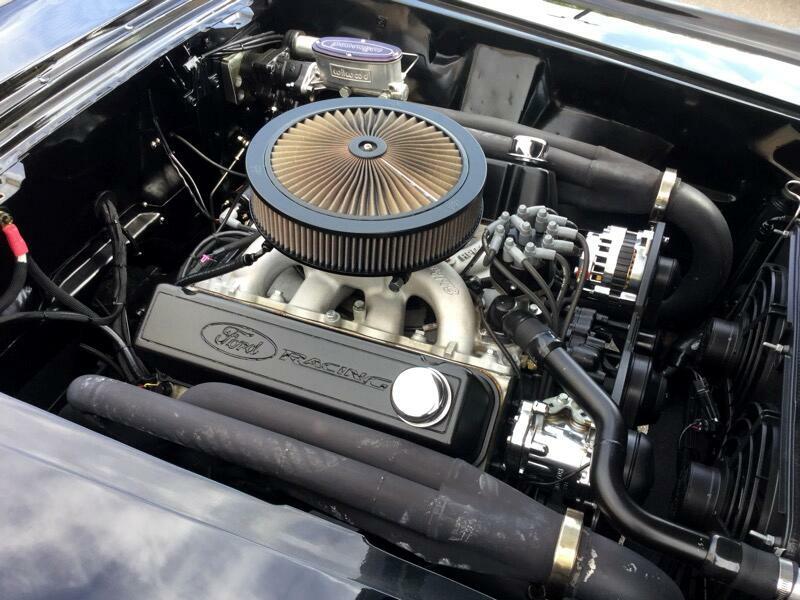 IT HAS CUSTOM HEADERS, AN EDELBROCK INTAKE MANIFOLD, AND MUCH MUCH MORE. 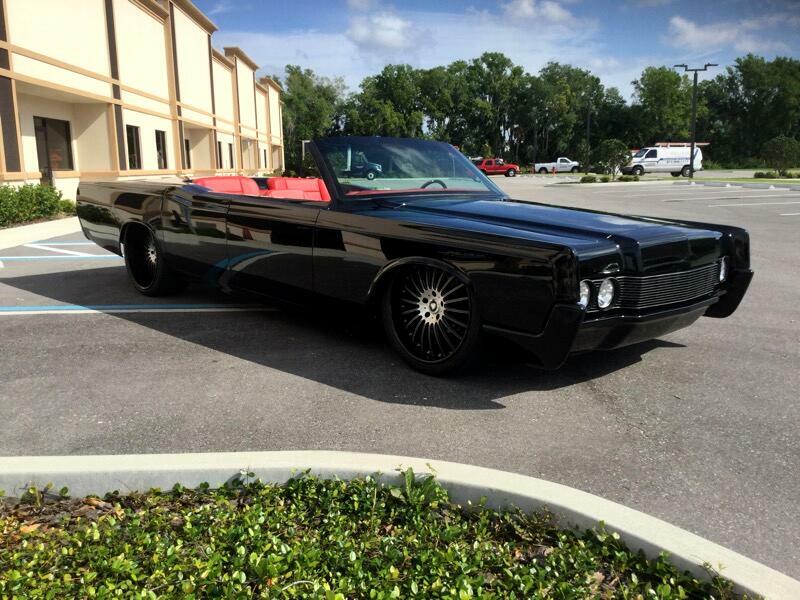 ONE LOOK UNDER THIS HOOD YOU KNOW THIS IS A SERIOUS MACHINE. 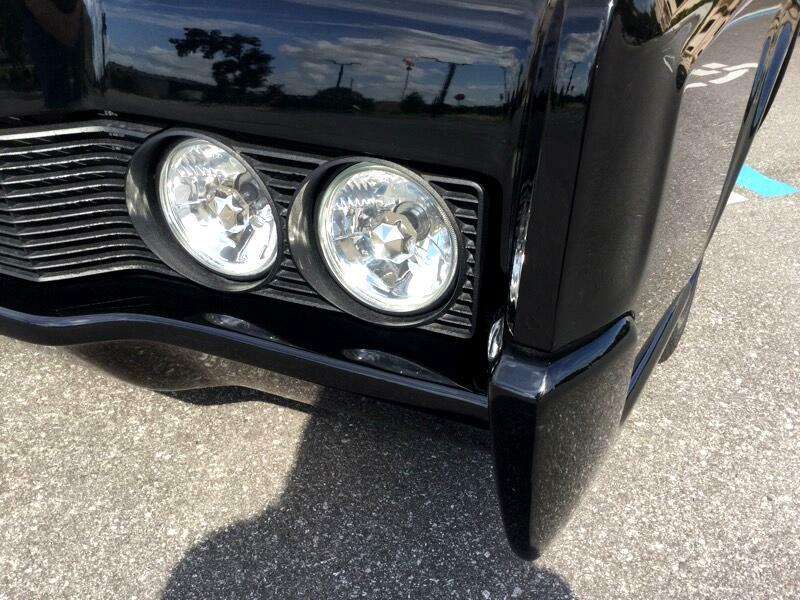 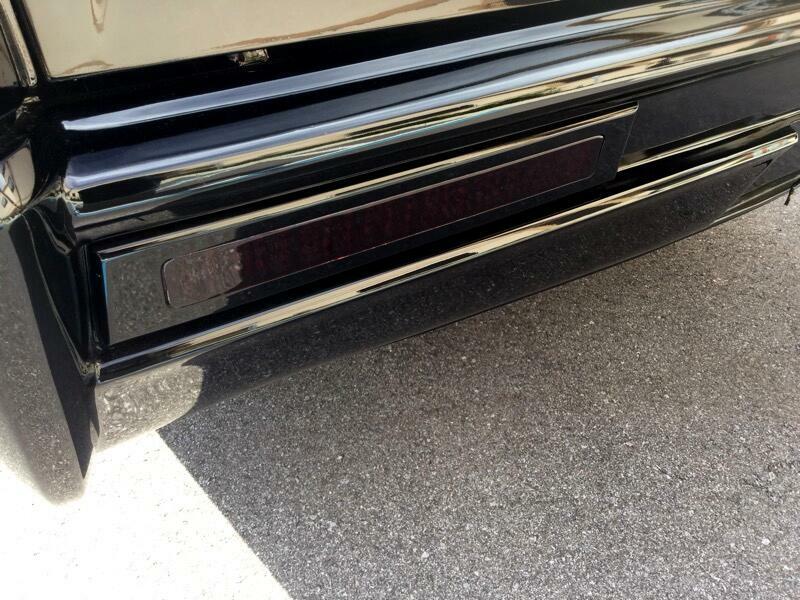 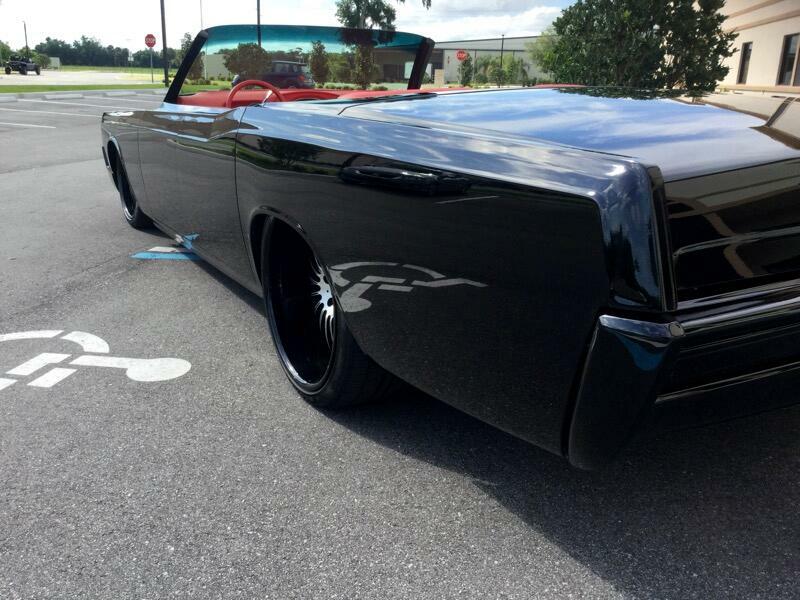 BODY WORK ON THIS SLEEK 1967 LINCOLN INCLUDES CUSTOM BEAD ROLLED METAL WORK AND MODIFIED/FRENCHED BUMPERS. 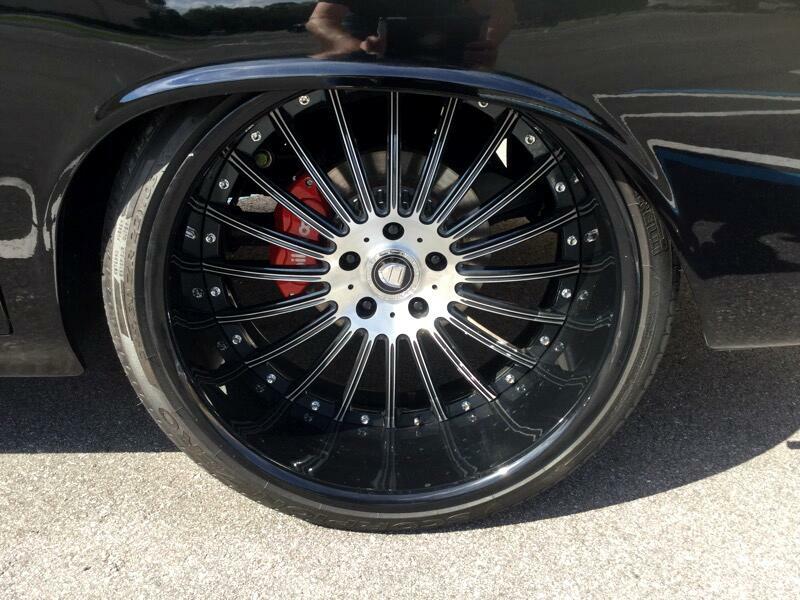 THIS CONVERTIBLE ALSO HAS WILWOOD POWER BRAKES ON ALL FOUR CORNERS GIVING THIS CLASIC EXCELLENT STOPPING POWER. 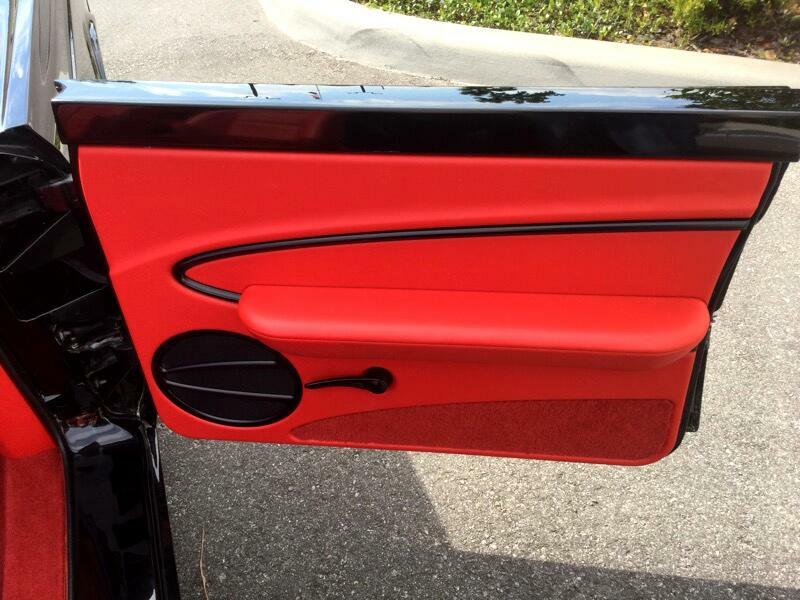 EQUALLY IMPRESSIVE IS THE CUSTOM ENGINEERED SUBFRAME. 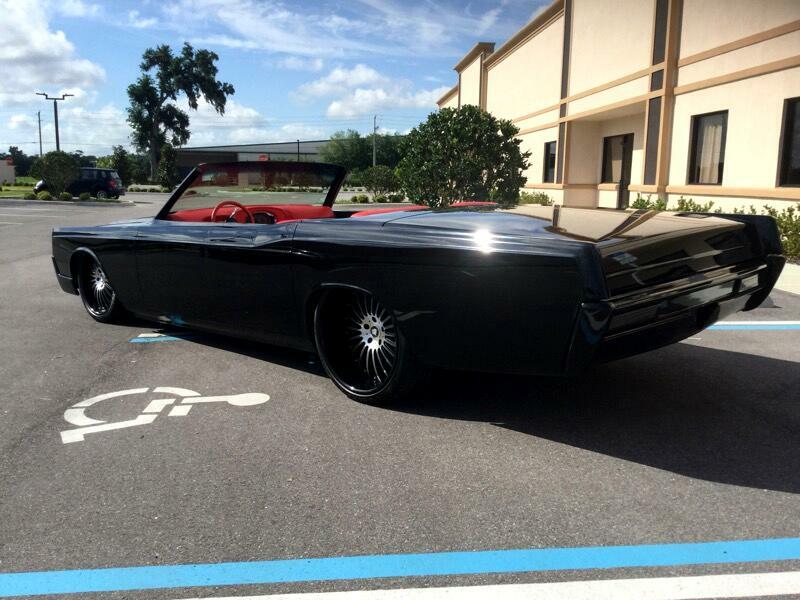 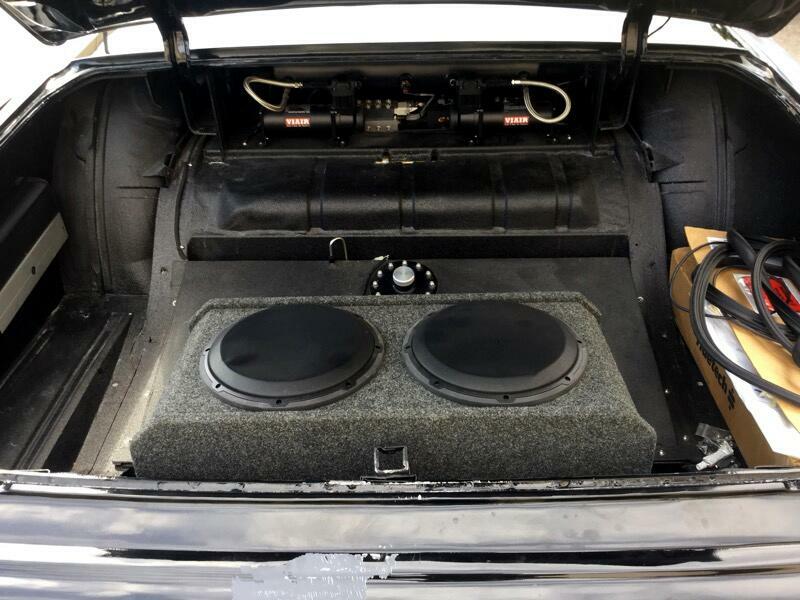 THIS 67 HAS A FULL ACCUAIR AIR RIDE SUSPENSION SYSTEM THAT LOWERS AND RAISES THE CAR WITH THE PUSH OF A BUTTON. 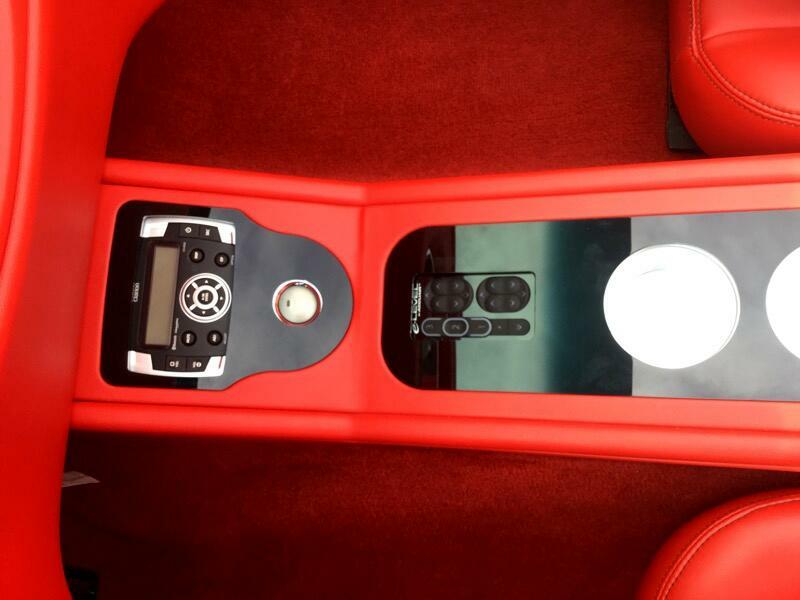 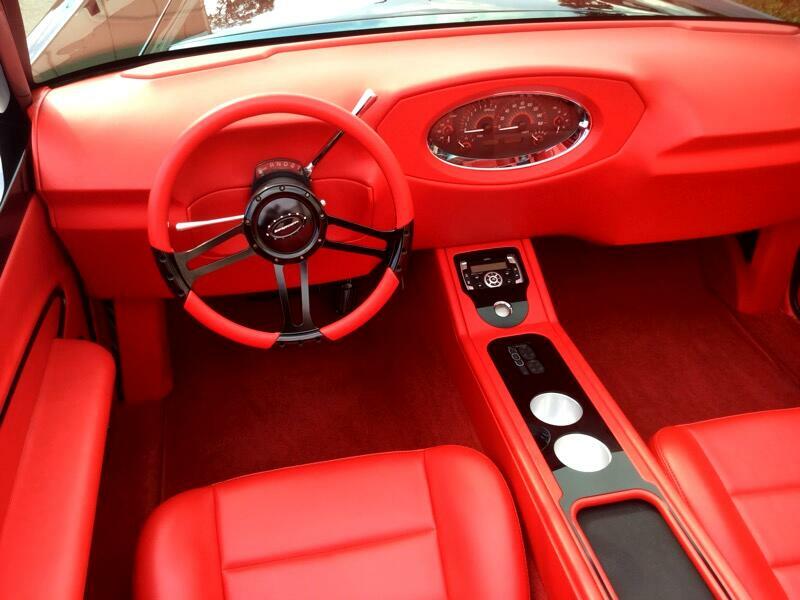 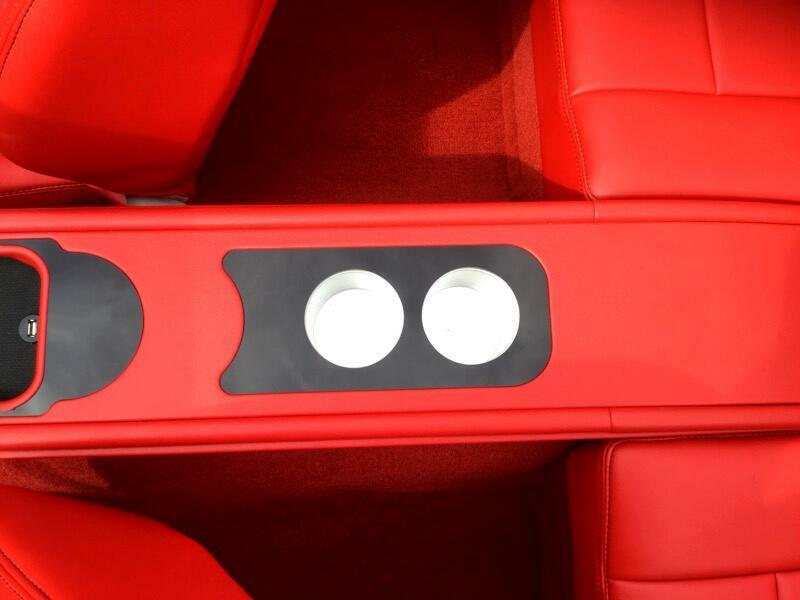 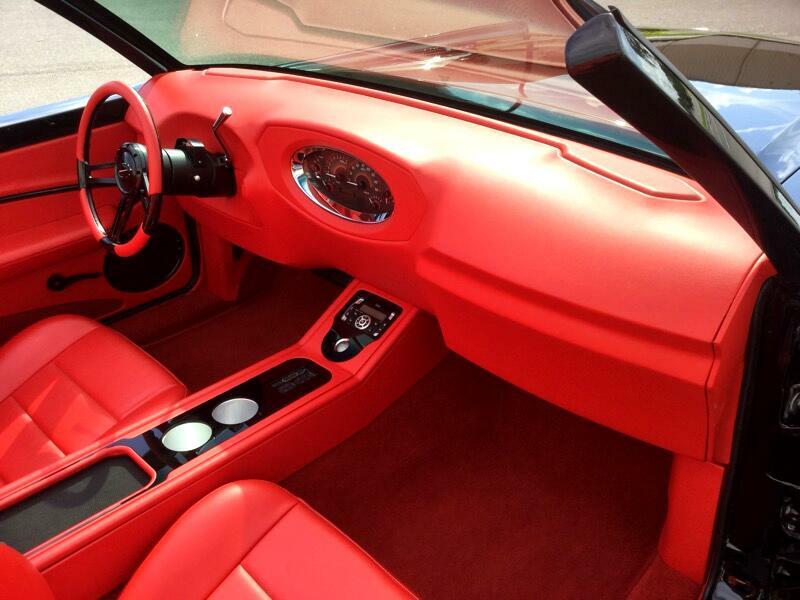 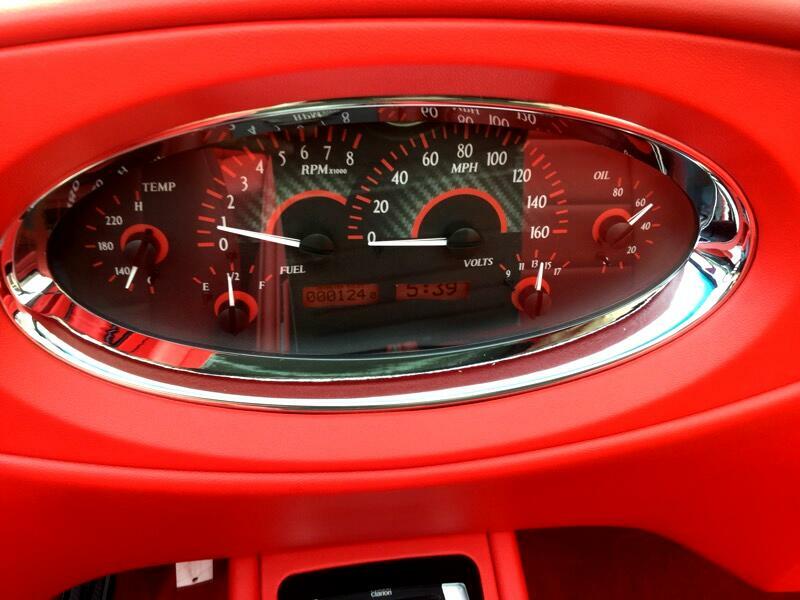 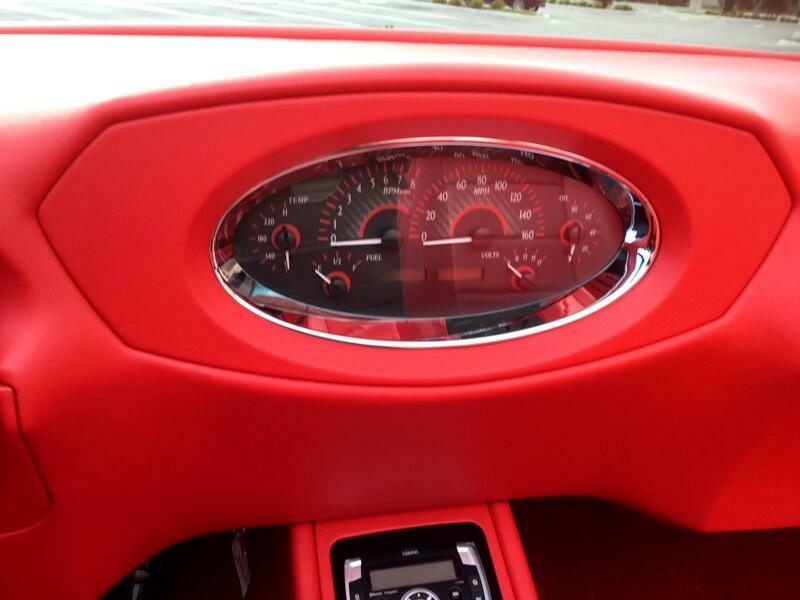 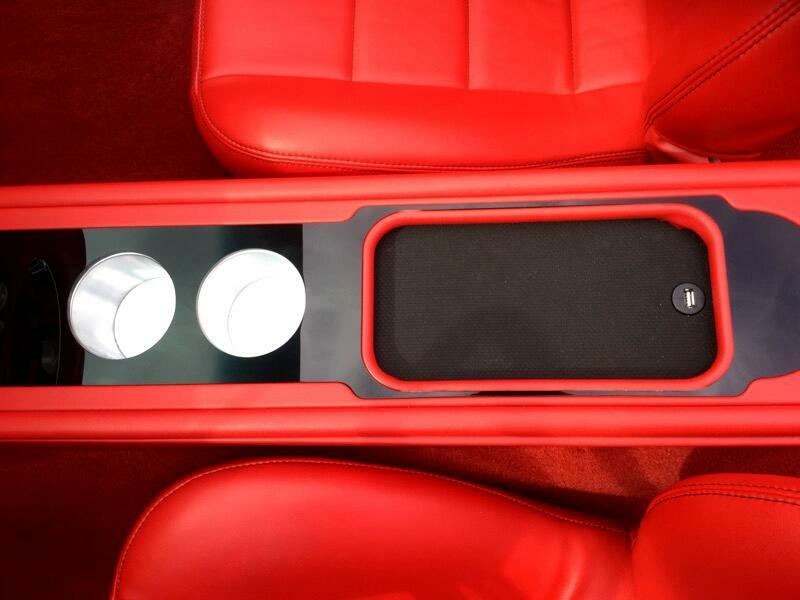 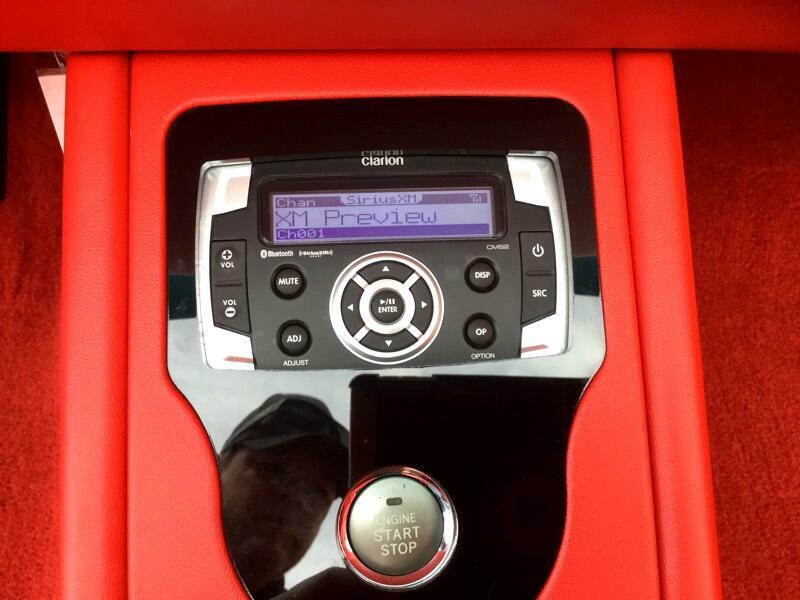 THIS CONTINENTAL HAS A JL MARINE AUDIO SYSTEM WITH A CLARION BLUETOOTH SETUP. 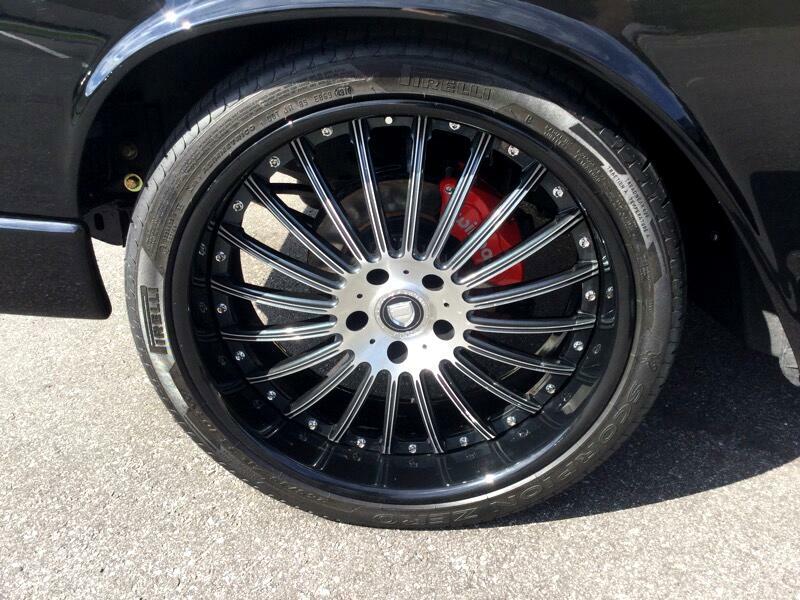 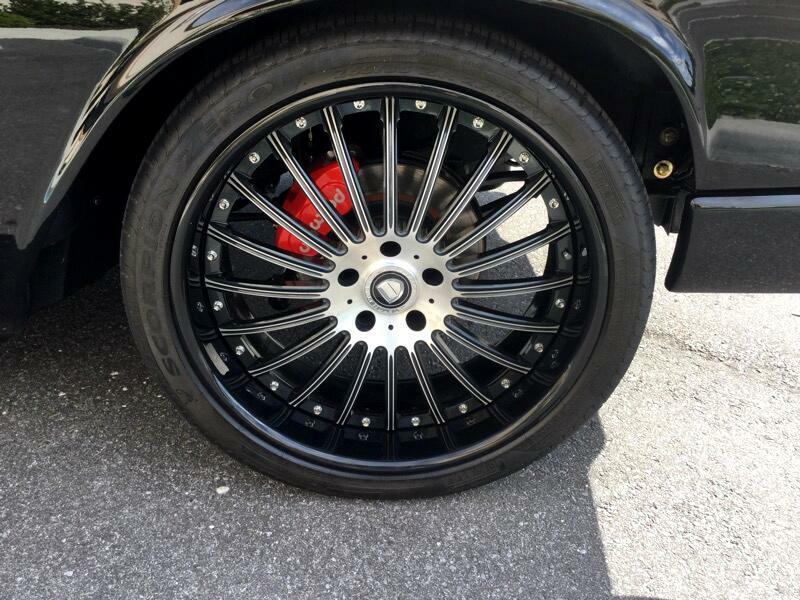 THIS ALREADY SLEEK CONVERTIBLE RIDES IN STYLE ON 3 PIECE TREN CUSTOM FORGED WHEELS WRAPPED IN PIRELLI TIRES. 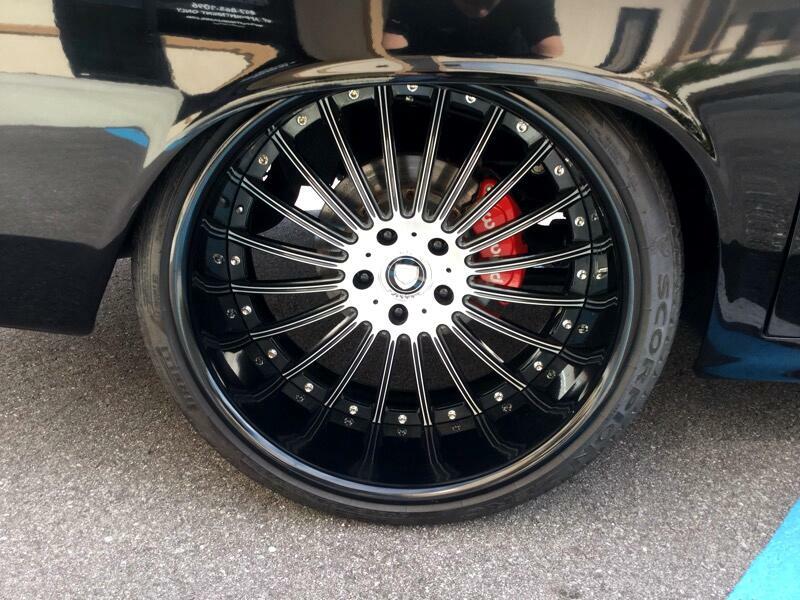 THIS SETUP LOOKS FANTASTIC WHEN LOWERED ON THE AIR RIDE SUSPENSION. 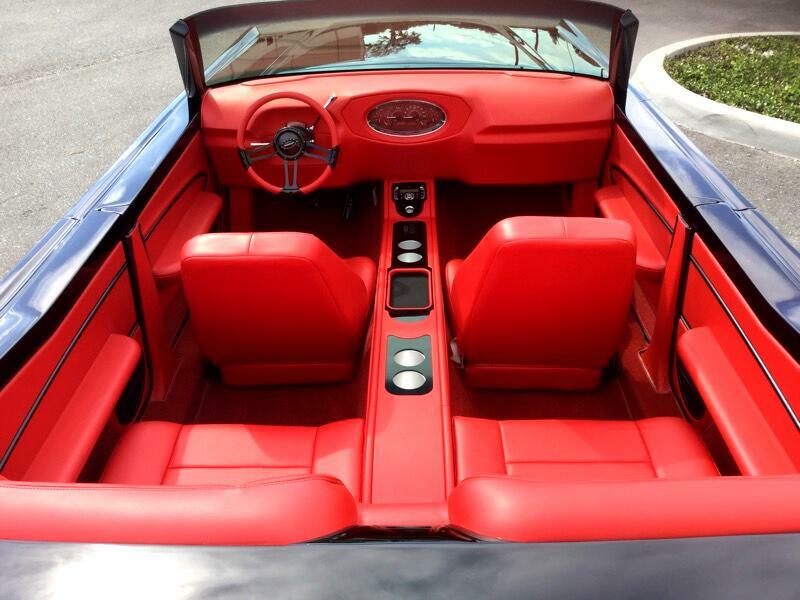 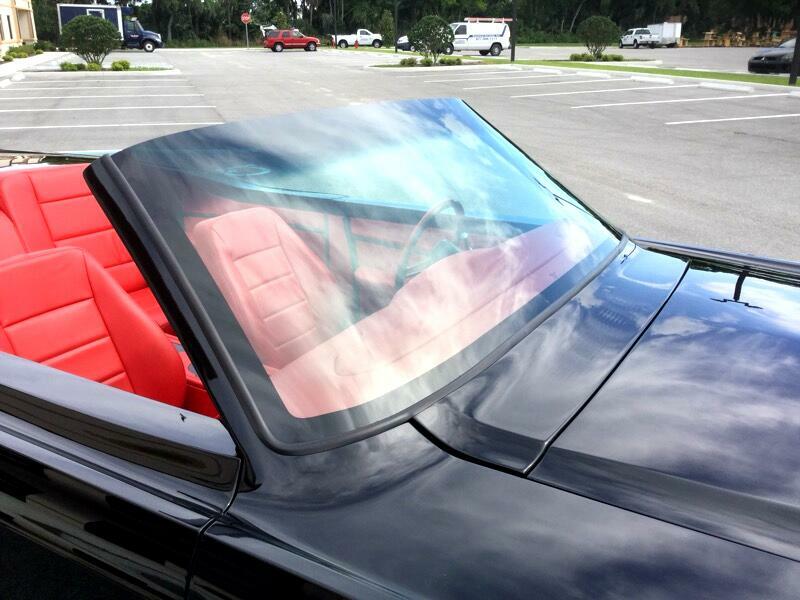 THE GLASS WINDSHIELD IS FRAMELESS ON TOP THAT ADDS THE SLEEK LINES ON THIS CONTINENTAL. 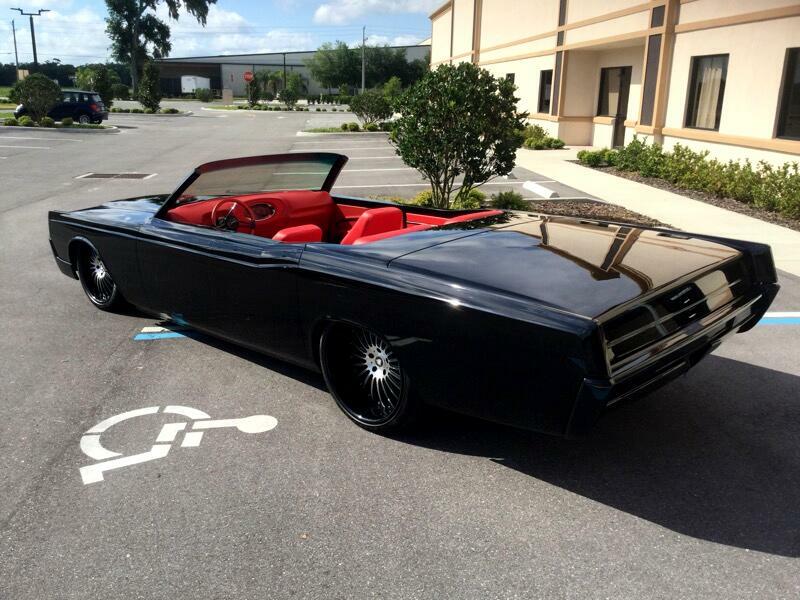 THIS CAR IS PERFECT FOR CRUISING, TAKING THE CAR TO SHOWS, AND GRABBING ATTENTION WHER EVER YOU GO! 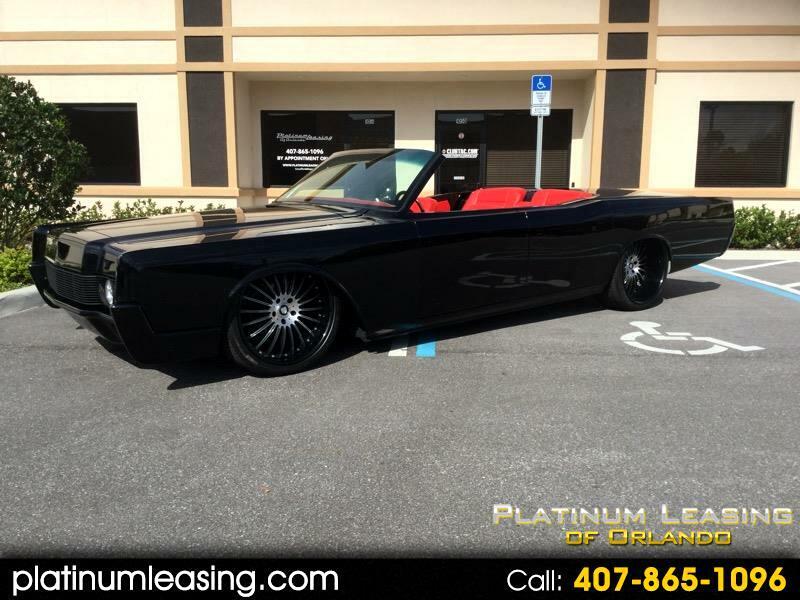 *** FOR MORE INFORMATION ON THIS BEAUTIFUL BUILD, PLEASE CALL TODD SHUB (OWNER) 407-865-1096 OR RANDY RIVERS (GENERAL MANAGER) 407-455-0343 THANK YOU FOR VISITING US ONLINE!!! 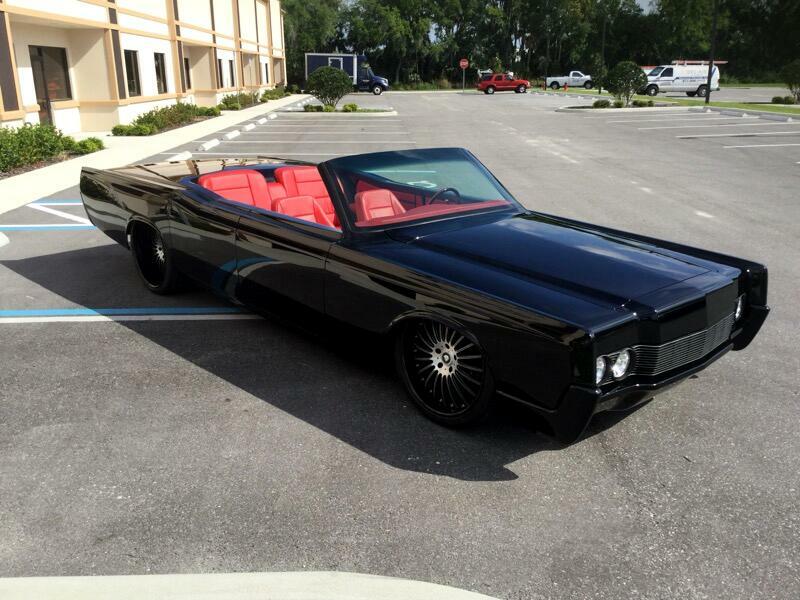 Message: Thought you might be interested in this 1967 Lincoln Continental.